The blood has barely dried on the corpse of David Letterman’s Late Show—a corpse that will continue to live and breathe until 2015—but we may already be getting a glimpse at the kind of direction CBS is hoping to take for its future weeknights. A direction that, perhaps unsurprisingly, looks a bit like The Daily Show. As recounted by The Hollywood Reporter, CBS asked former Daily Show correspondent John Oliver late last year if he’d be interested in taking over the network’s 12:30 a.m. time slot—a space currently occupied by Craig Ferguson’s Late Late Show. Reportedly the talks with Oliver hinged on the scenario where Ferguson decides not to renew his contract after it ends this year. And as THR says, they seem to suggest that the network isn’t necessarily looking to bump Ferguson into Letterman’s soon-to-be-vacated slot. If CBS does drop both of its late-night talk show hosts, it would give the network a good opportunity to bring in some hip young people to compete with NBC’s new generation of hip young people, and siphoning some of that Daily Show flavor by hiring John Oliver might’ve been an easy way to do that. 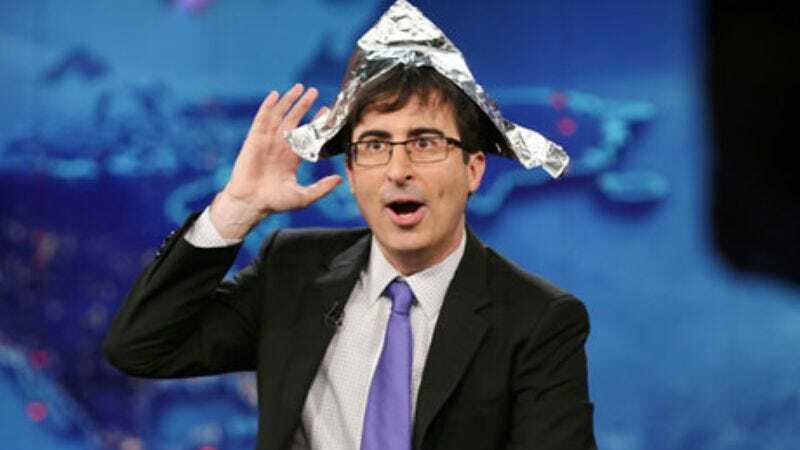 Of course, John Oliver won’t be going to CBS since he chose HBO instead. (His Last Week Tonight premieres April 27.) But that he was considered at all seems to indicate that CBS is also thinking about how to attract a younger audience. Hopefully whoever gets hired doesn’t take any advice from Jerry Seinfeld.